In the early grades, talking and drawing can provide children with a natural pathway to writing, yet these components are often overlooked. 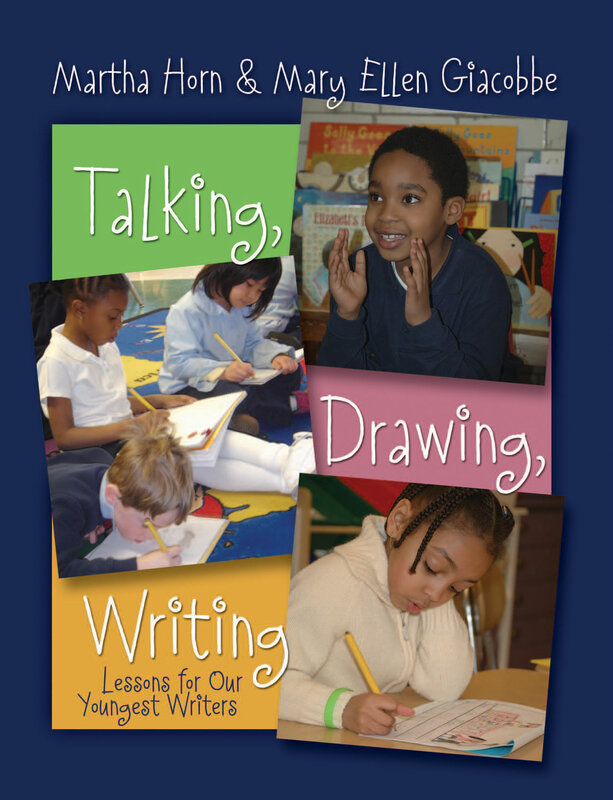 In Talking, Drawing, Writing, Martha Horn and Mary Ellen Giacobbe invite readers to join them in classrooms where they listen, watch, and talk with children, then use what they learn to create lessons designed to meet children where they are and lead them into the world of writing. In the early grades, talking and drawing can provide children with a natural pathway to writing, yet these components are often overlooked. In Talking, Drawing, Writing, Martha Horn and Mary Ellen Giacobbe invite readers to join them in classrooms where they listen, watch, and talk with children, then use what they learn to create lessons designed to meet children where they are and lead them into the world of writing. The authors make a case for a broader definition of writing, advocating for formal storytelling sessions, in which children tell about what they know, and for focused sketching sessions so that budding writers learn how to observe more carefully. Martha and Mary Ellen show the thinking behind their teaching decisions and provide a way to look at and assess children's writing, giving us much more than a book of lessons; they present a vision of what beginning writing can look and sound like. Perhaps most powerfully, they give us examples of the language they use with children that reveal a genuine respect for and trust in children as learners. Martha Horn and her coauthor, Mary Ellen Giacobbe, are codirectors and designers of Writing in Kindergarten, a professional development project in Boston Public Schools. Mary Ellen and her coauthor, Martha Horn, are codirectors and designers of Writing in Kindergarten, a professional development project in Boston Public Schools.